The essay "A Double Life", published in Writing on the Edge (Volume 16, Number 2, Spring 2006) was awarded the 2006 Donald M. Murray Prize for the Best Creative Nonfiction on the subject of writing. The essay "Postscript to a Postscript to 'The Ring of Time'," published in The Pinch (Volume 29, Number 1, Spring 2009) was nominated for a Pushcart Prize and won the 2009 Kay Levin Short Award for Short Nonfiction from the Council of Wisconsin Writers. The anthology The Island Within Us: Artists-in-Residence 1991-1998, co-edited with Jill Burkland, was the winner of the National Park Service Cooperating Association Excellence in Interpretative Media Award for Best General Book in 2002. Recovering Ruth: A Biographer's Tale was named a 2004 Michigan Notable Book by the Library of Michigan. 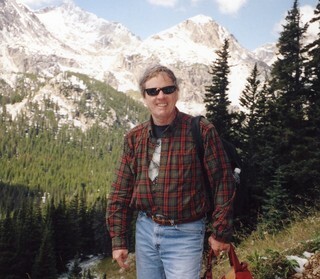 "A Double Life" at the website of the Colorado Authors League. To learn how to connect to his home ground--live in it rather than simply on it--Bob Root walks the Wisconsin home grounds of John Muir, Aldo Leopold, and August Derleth and takes their lessons to his own walks on the Ice Age Trail and along the Fox River. The best of the "Thinking Out Loud" series of essays written 1980-1987 for broadcast on Central Michigan University's "Morning Edition" program. A collection of essays that travels from Nova Scotia and the coast of Maine to New York and the coast of Florida, from the Great Lakes to the Four Corners, from Walden Pond to Malabar Farm. Often in the company of writers like E. B. White, Henry David Thoreau, and Louis Bromfield, Robert Root explores the intersecting histories of individual places, not only those of the writers he admires but those that have mattered most profoundly to him. For a writer new to Colorado the possibility of learning the landscape by following in the footsteps of Isabella Bird, who traveled the territory in 1873, sets him off on his own wanderings, using Bird and other writers as touchstones and guides. A "poetics" of nonfiction offering a lively exploration of its contemporary elements and suggesting imaginative approaches to writing it. Each chapter discusses a different aspect of creative nonfiction by examining outstanding examples from the field and concludes with a section of "Notes for Nonfictionists" recommending ways writers can put these ideas into practice in their own nonfiction. The essays, memoirs, and travel narratives in this anthology, set in widely divergent locales by a range of outstanding writers, are bound together by the central element of the nonfiction of place—an individual writer’s sensibility as it responds to the impact of setting, the awareness that place alters perceptions and influences insight. The task of editing and annotating a nineteen-century diary seemed straightforward at first, but as he assembled scattered fragments of lost history and immersed himself in background research, Root became enmeshed in unexpected ways. Part memoir, part meditation about biography, this is the absorbing story of recovering a hidden past. The Fourth Genre is the first teaching anthology to draw on the common ground both of the practicing writer and the practical scholar. It offers the most thorough, comprehensive, and teachable introduction to the cutting-edge and still evolving genre widely known as “creative nonfiction”. A study of E. B. White's nonfiction career, tracing its course from his early days as a humorist and paragrapher through his development as a columnist and his ultimate role as an editorial commentator and essayist and concentrating on manuscript evidence of and contexts for composing classic, memorable nonfiction. "Walking with Derleth," The Sage of Sac Prairie: The August Derleth Society Newsletter, 38:3 (Winter 2017): 6-7. "Thinking Like an Island," Isle Royale from the AIR: Poems, Stories, and Songs from 25 Years of Isle Royale Artists-in-Residence, ed. Phillip D. Sterling. Grand Rapids: Caffeinated Press, 2017: 14-19. "The Driving Lesson," Thread 1:2 (Summer 2015). April 1, 2015. "Rain," in "Beautiful Things", River Teeth October 6, 2014. .
"Postscript to a Postscript to 'The Ring of Time'," The Pinch Spring 2009. "Terra Cognita," Colorado Review 35:2 (Summer 2008): 132-148. “The Pattern of Life Indelible,” Ecotone: Reimagining Place 1:2 (Summer/Fall 2005): 152-167. “The Everlastingly Great Look of the Sky,” The Concord Saunterer 12/13 (2004/2005): 371-387. “Shore Lines,” Under the Sun, 8:1 (Summer 2003): 194-206. “Words in the Wind,” Rivendell Issue 2 (Spring 2004): 227-231. “Researching ‘Caves’,” Kentucky English Bulletin, 65:2 (Spring 2016), 69. “Creative Nonfiction,” Dictionary of Midwestern Literature. Volume Two: Dimensions of the Midwestern Literary Imagination. Bloomington: Indiana University Press, 2016:179-184. “Essaying the Image,” The Essay Review Volume 2 (Fall 2014) 95-106. “A Double Life,” Writing on the Edge 16:2 (Spring 2006): 69-81. “Roundtable: Travel in Nonfiction,” Fourth Genre: Explorations in Nonfiction 7:2 (Fall 2005): 77-102. “Captioning and Capturing the Past,” Statement 42:1 (Fall 2005): 9-15. “Variations on a Theme of Putting Nonfiction in Its Place,” Pedagogy 4:2 (Sp 2004) 289-295. “The Experimental Art,” JAEPL: Journal of the Assembly on Expanded Perspectives in Learning 9 (Winter 2003-2004): 12-19. “Naming Nonfiction (a polyptych),” College English 65:3 (January 2003): 242-256. “Roundtable: Place in Nonfiction,” Fourth Genre: Explorations in Nonfiction 4:2 (Fall 2002): 177-202.